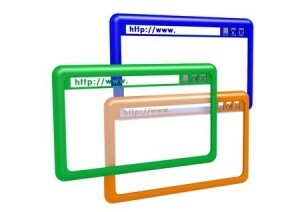 When it comes to internet browsers, we’ve all got our favourites, and for different reasons, but research suggests that once someone has established which browser they like, they tend to stay with that browser well beyond the point whereby others have improved and often surpassed the one that the user is choosing. It’s difficult of course to subjectively say which browser is best, and of course we also have to consider which is best depending on the piece of equipment you are using. Below, you will find as breakdown of different aspects of browser uses, and a conclusion which will tell you exactly which browser is best… in our eyes at least! These days most browsers being powered by a decent connection feel pretty snappy, so the only way to test is to use the Sunspider benchmark tests. IE comes up trumps here with a remarkable 97ms response time, along with the mightily impressive touch based IE with 113ms. Chrome is surprisingly lagging behind 147.2ms, with Firefox and Opera off the pace, and Safari in last place with 182.7ms. There’s no doubt that Firefox has been the browser to turn to for some time when it comes to add-ons. With more great add-ons than you could shake a stick at, along with some easy to use tabs for web apps and useful Greasemonkey scripts at your fingertips, it’s easy to see why Firefox is considered a power users perfect tool. However, Chrome is fast on the tail of Firefox. The web store is jam packed full of excellent add-ons. Perhaps surprisingly, Apple and Microsoft are both behind here, with poor selections, but Opera does a good job of bridging the gap between the two giants and the top dogs Firefox and Chrome. Opera offers integrated email, Opera Turbo to help with poor mobile connections, along with IRC chat. For years, people who care about which browser they use have been bemoaning the quality and speed of IE browsers. It can be reported with some surprise them, that IE is by far the fastest on this platform. Safari is by far the slowest, with a poor interface to boot. There’s not much to pick between the rest, but Chrome probably shades it in second place. On Android, Chrome wins hands down. There’s a huge choice out there, but chrome is fast, with a host of features. Dolphin Browser HD is worth a look at and Skyfire offers some great ideas, but Chrome is king on Android. Initially, iPad’s Safari was problematic, with a lack of tabs, but now this is sorted and we have iCloud syncing, we’re sold on Safari on the iPad. However, if you are prepared to use Chrome on the desktop, and you want to be able to sync tabs, as well as passwords and bookmarks, then you should opt for Chrome. This is a very tough one to call, but for overall usability, a lack of downright terrible results, and availability on all machines, we have to crown Google Chrome as the very best of the browsers. It should come as no surprise that this giant of computing is able to create the very best browser on the planet. That being said, IE is catching up quick, and it will be interesting to see who is giving the best offering in five years’ time. But for now, long live the King, Google Chrome!